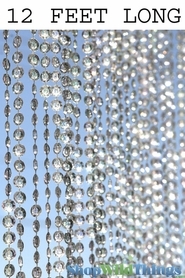 Home > Beaded Curtains & Columns > Crystal Hanging Columns > Diamonds Crystal Sparkling Iridescent Column 12 ft - Round - PREMIUM QUALITY BEADS! 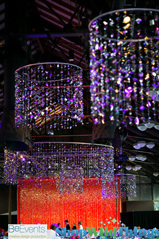 Create glittering, shimmering columns out of thin air with our exclusive new Diamonds Crystal Iridescent Columns. Or -- turn existing vertical supports into sensational columns of sparkling gems with the very same Diamonds Crystal Iridescent Columns. 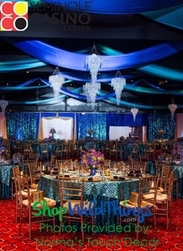 The ShopWildThings Columns feature PREMIUM QUALITY acrylic beads. It is not a lightweight knock-off. 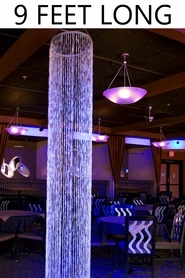 Whether you want to add a column where none exists or cover up a hideous support pole, our Diamonds Crystal Iridescent Columns are the easy answer to a difficult challenge. 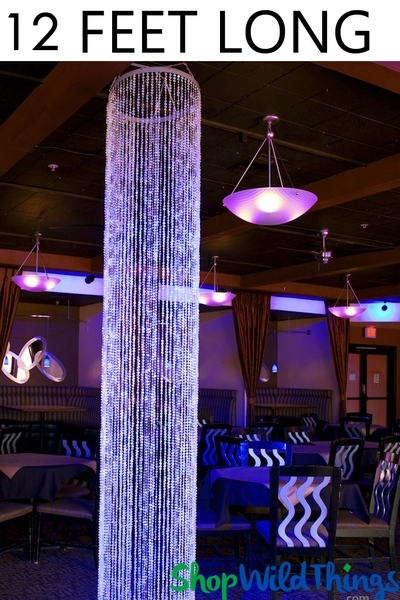 We designed the columns to hang quickly and easily from the pre-drilled holes in the supporting hoop - To an hide an existing pole, just pull the hoop open and surround the pole with our Diamonds Crystal Iridescent Column. 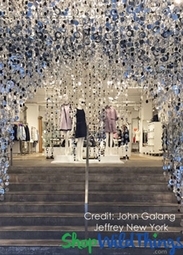 The hanging chains and hardware to close and secure the column are included. It will close around the pole and you can hang as desired. Voila! Problem solved. The Iridescent Coating on top adds a pearlized effect to the high quality faceted acrylic beads. 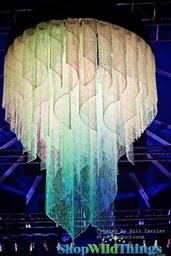 The diameter of the hoop is 18 inches and the length of the column is 12 gorgeous feet! 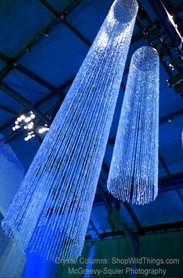 There are 72 individual strands of our Diamonds Crystal acrylic beads (each 12' long) on each column. Wow! 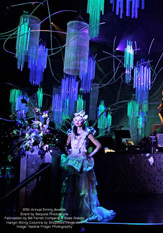 That's over 1,000 feet of Diamonds Crystal Iridescent beads on every column. Need more options? You can straighten out the metal hoop and use the resulting 58.5" wide metal band with 72 strands of 12' long beads in many other ways. 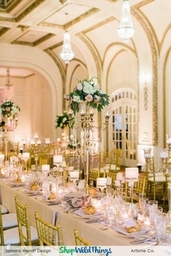 Need shorter columns? Just puddle the excess length on the floor for a dramatic look or trim with scissors. The total hanging weight is approx 11 pounds. We are proud to offer this product designed right here at www.shopwildthings.com. 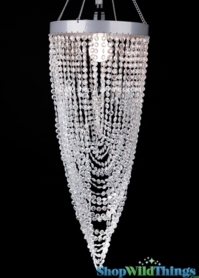 Chandelier Diana - Diamond Twist - Crystal Iridescent 18" x 8.5"